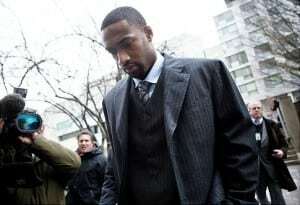 The Washington Wizards three-time All-Star point guard was sentenced Friday in D.C. Superior Court by Judge Robert E. Morin on one felony count of violating the District of Columbia’s strict gun laws. Arenas must serve 30 days in a halfway house and register as a gun offender. He was sentenced to two years probation and must donate $5,000 to victims of violent crimes fund and do 400 hours community service.